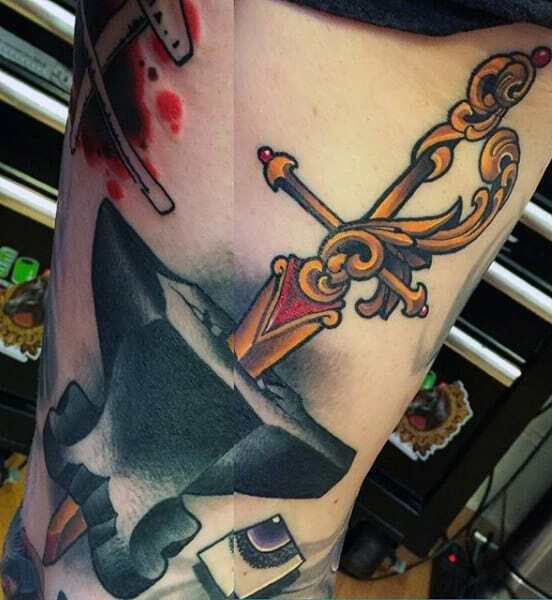 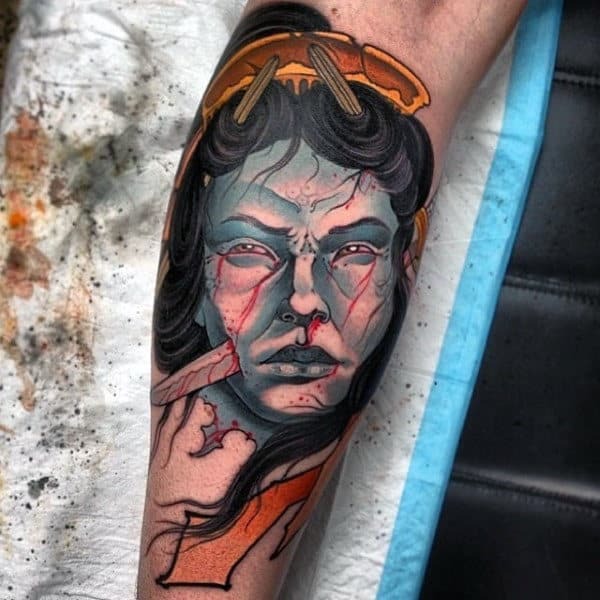 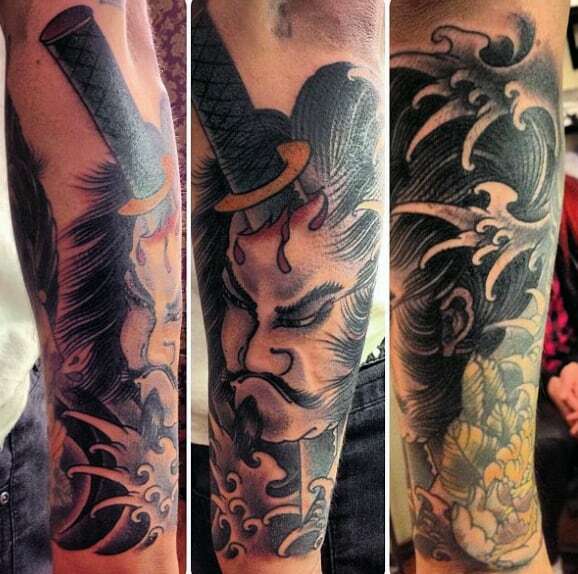 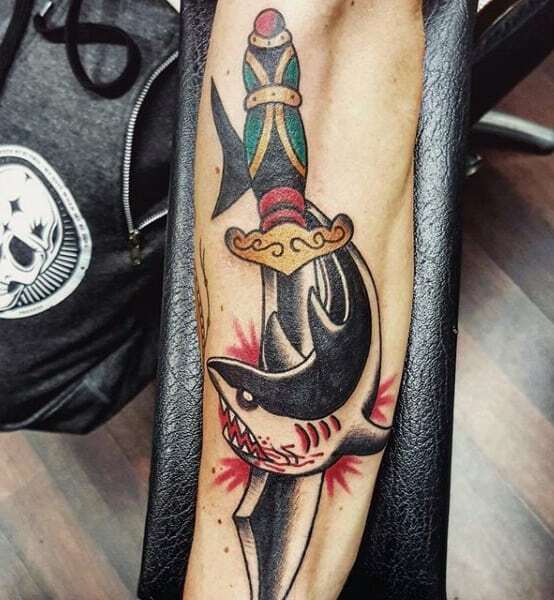 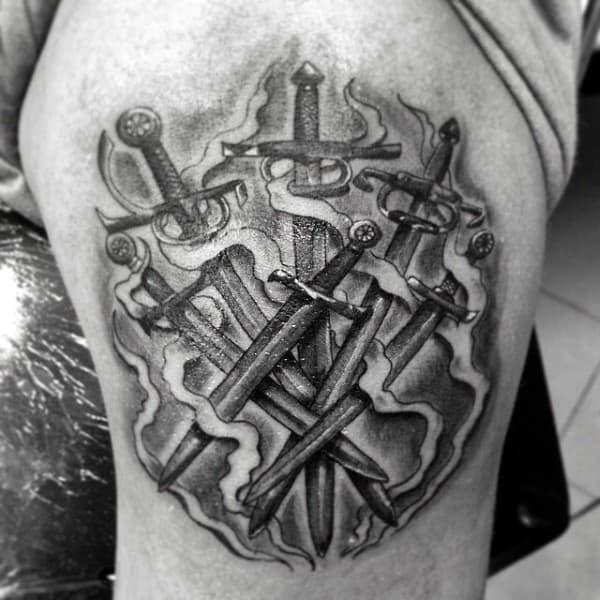 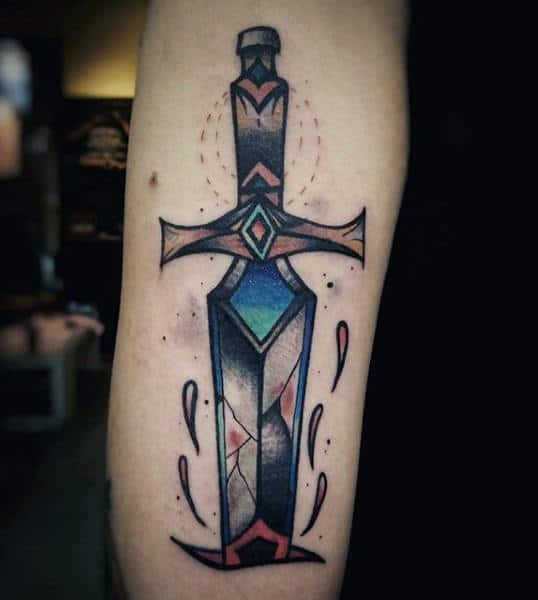 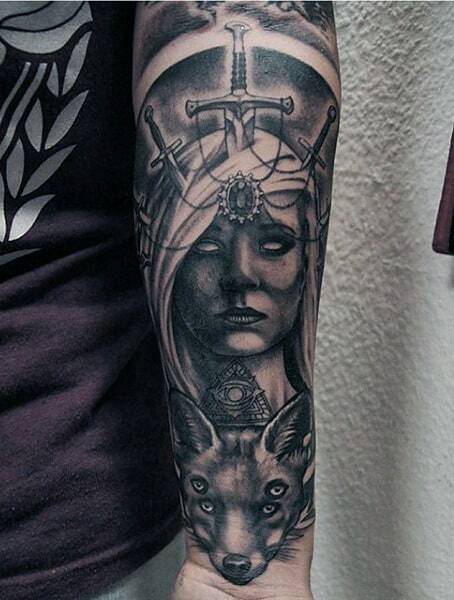 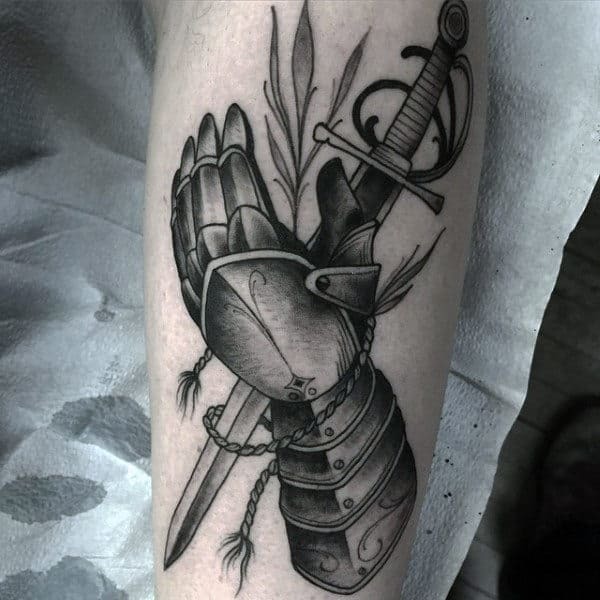 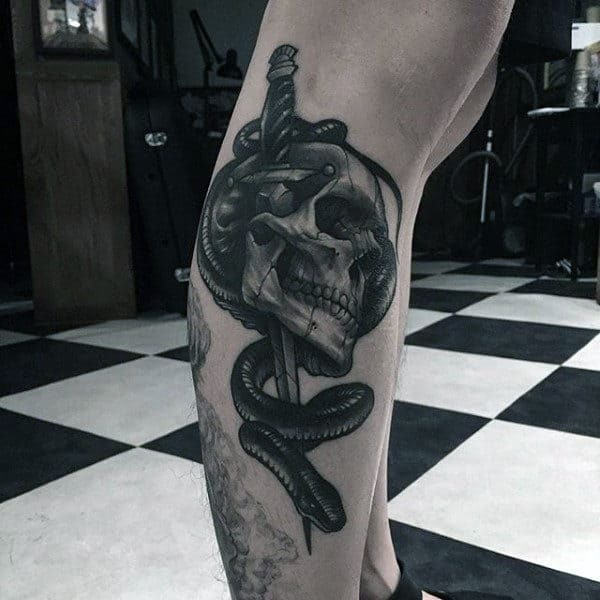 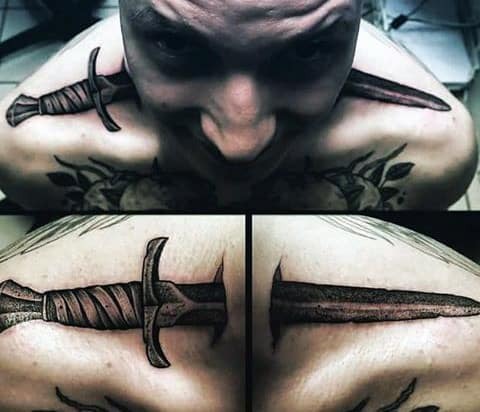 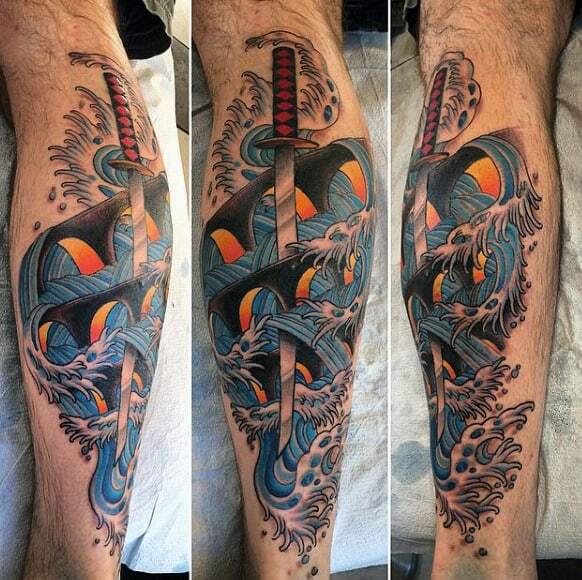 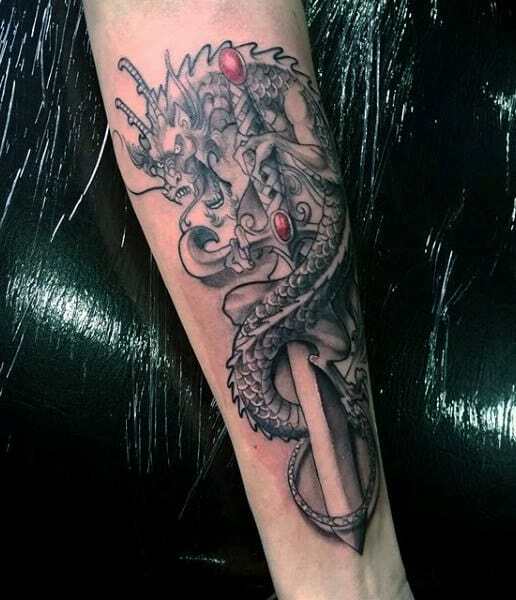 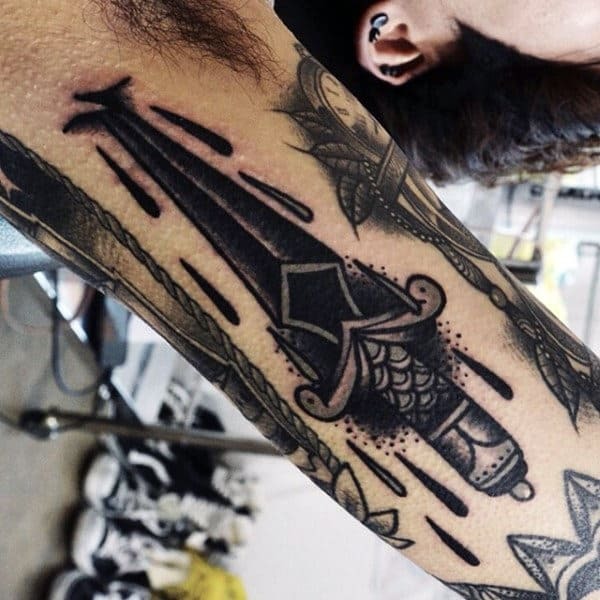 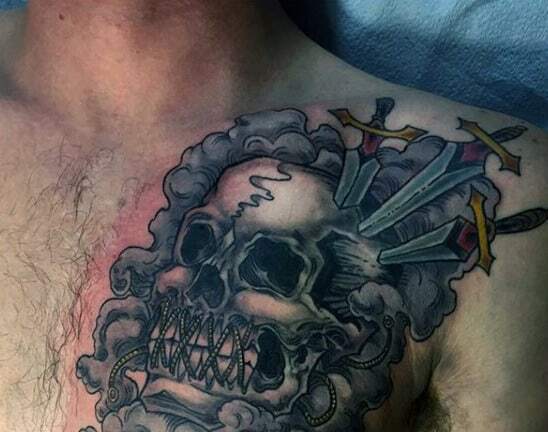 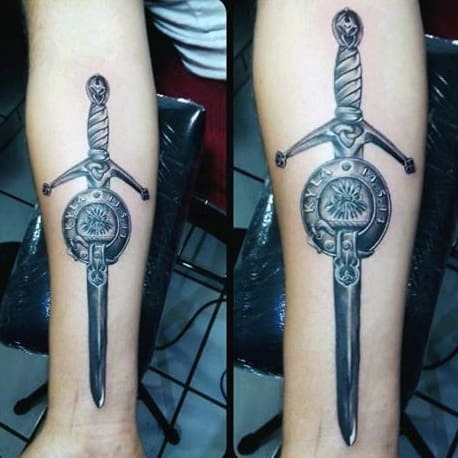 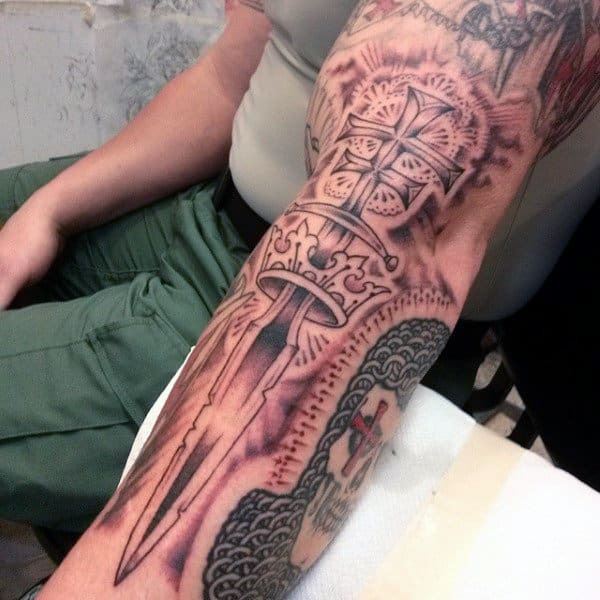 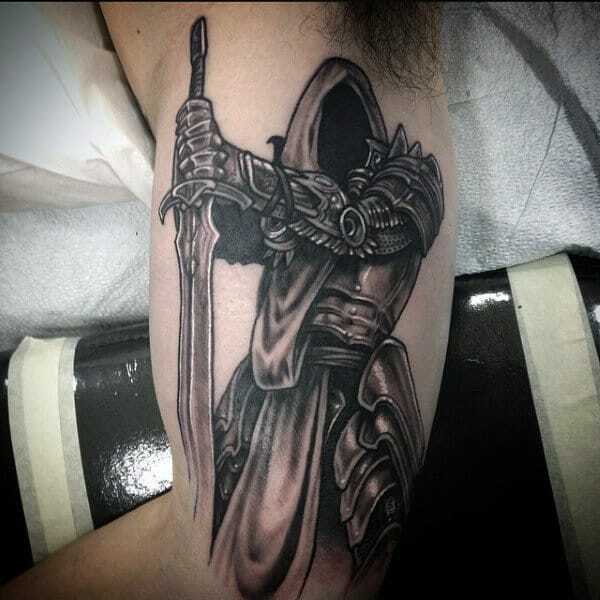 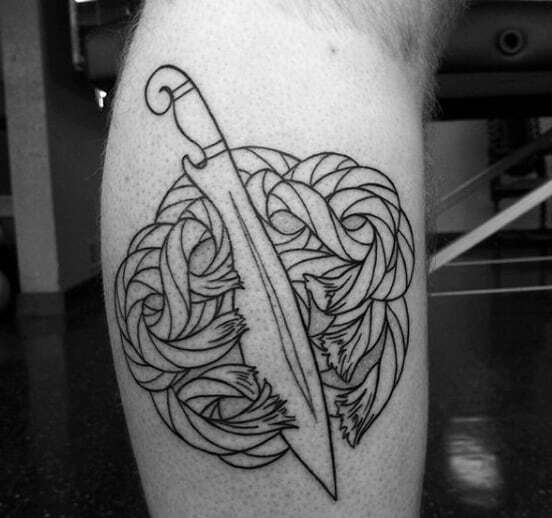 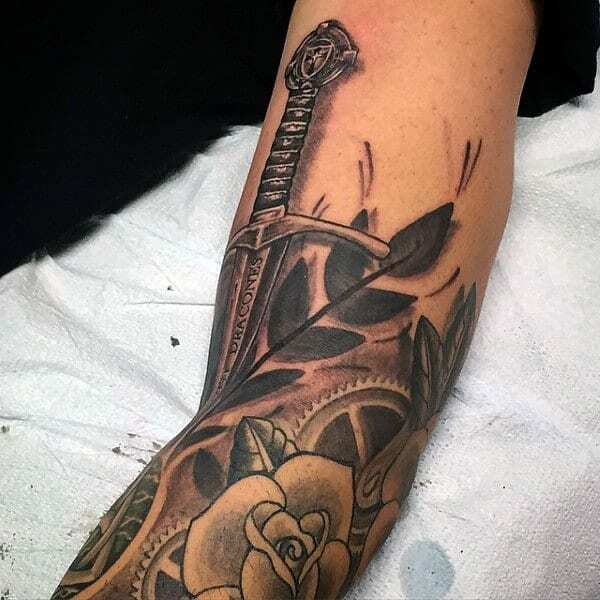 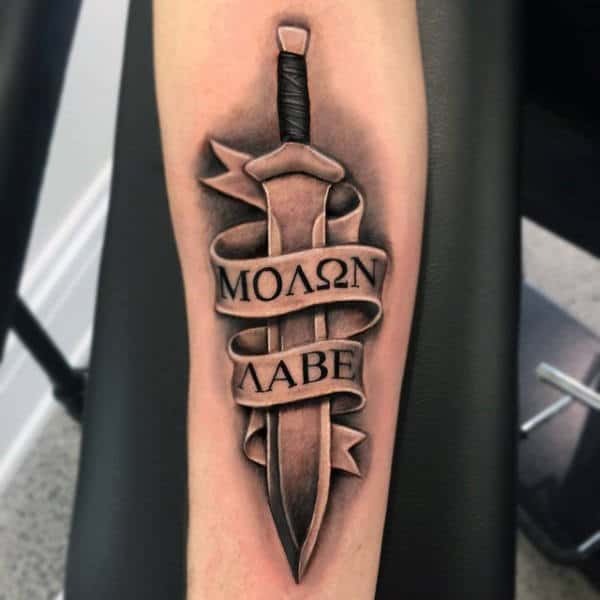 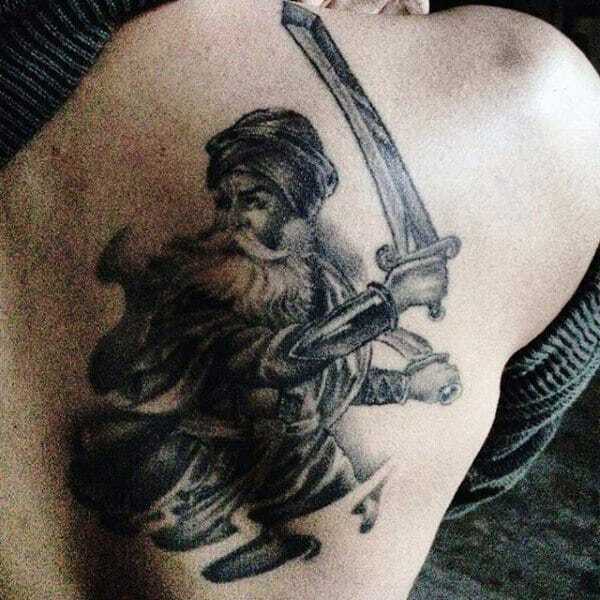 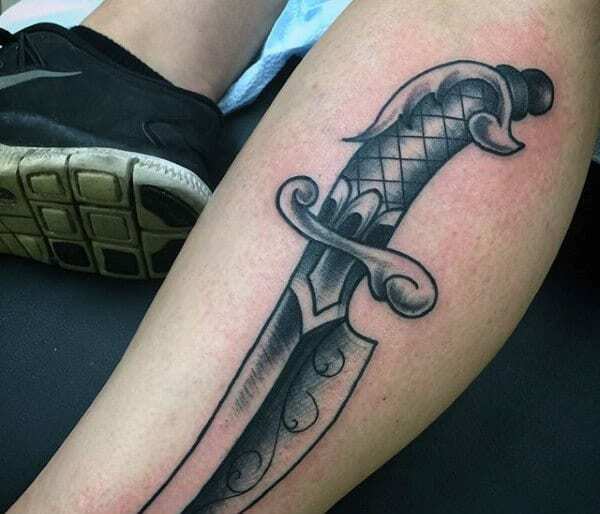 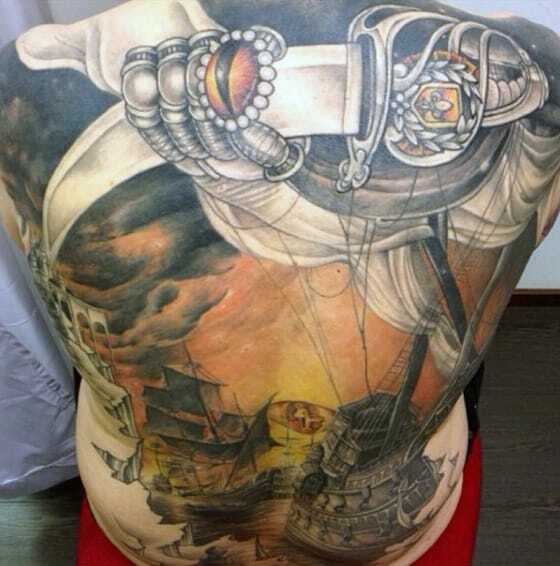 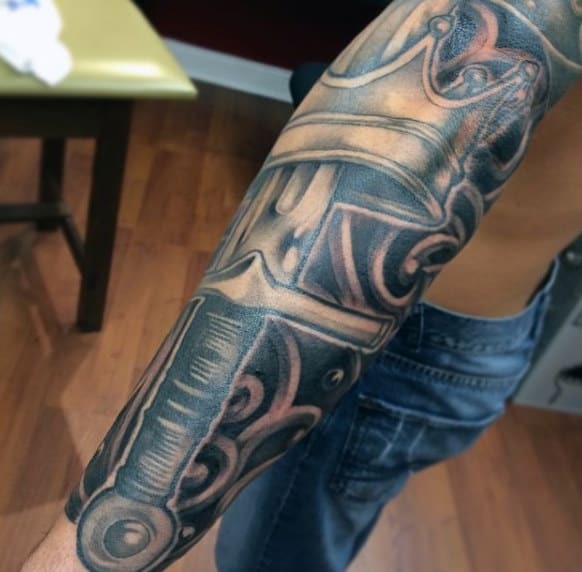 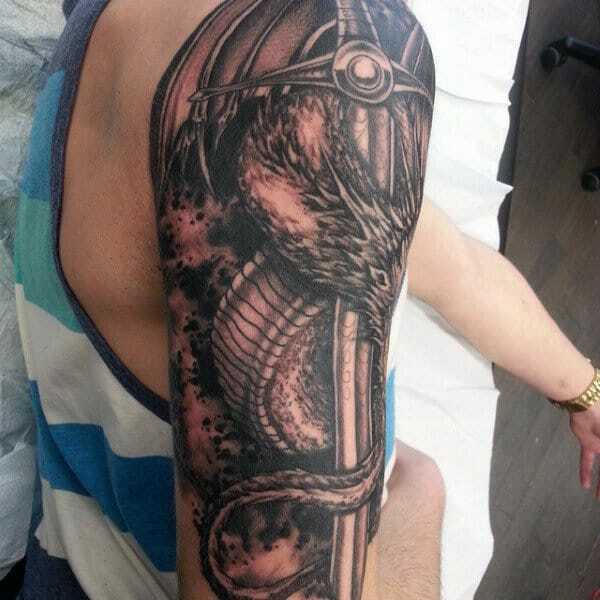 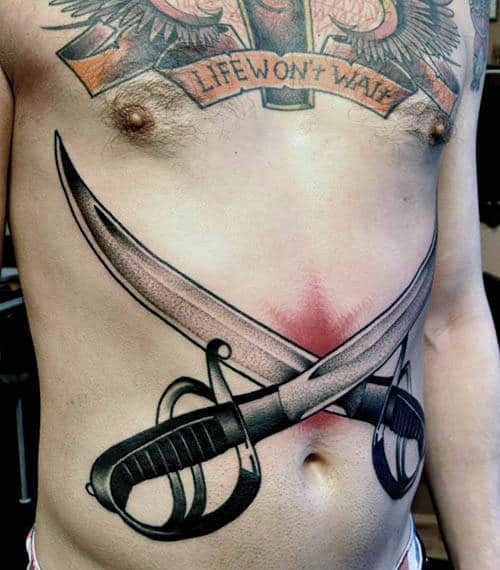 Sword tattoos have been around since mankind’s obsession with inked flesh began. 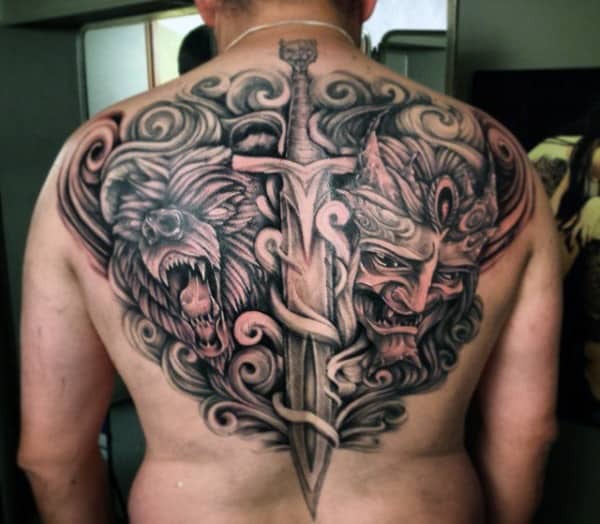 This primal image conjures a distinct essence of maleness, and its provocative symbolism extends across cultures to convey a seriously self-possessed persona. 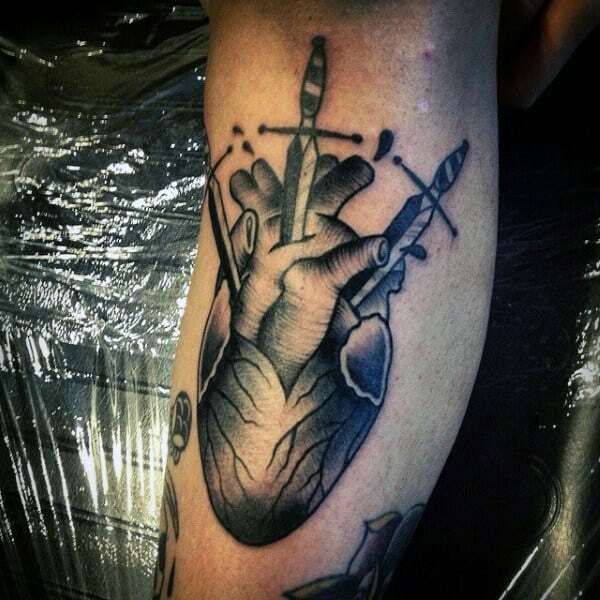 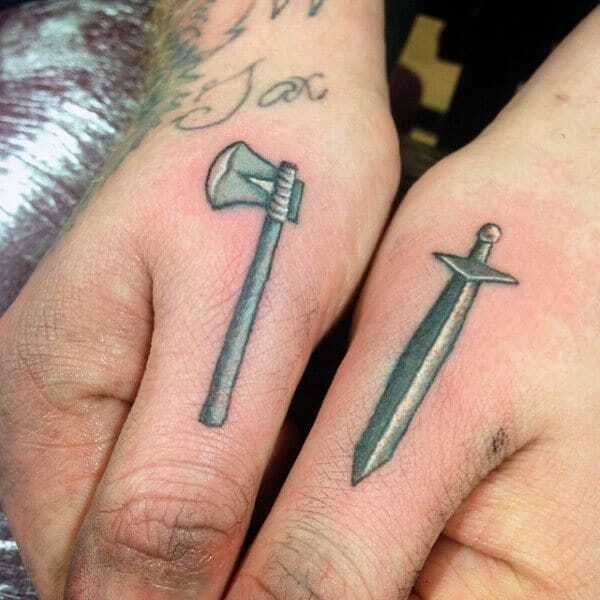 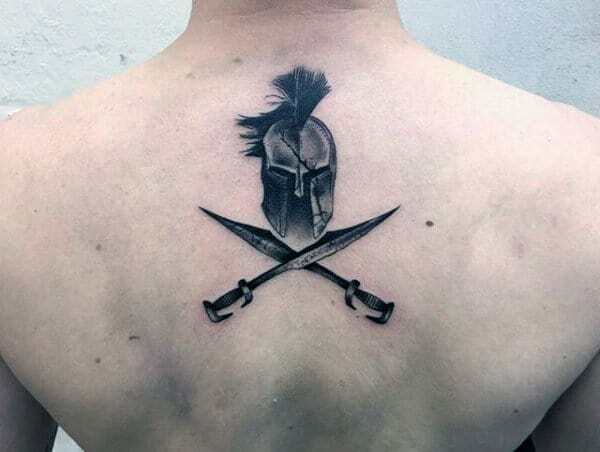 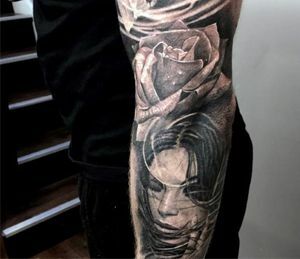 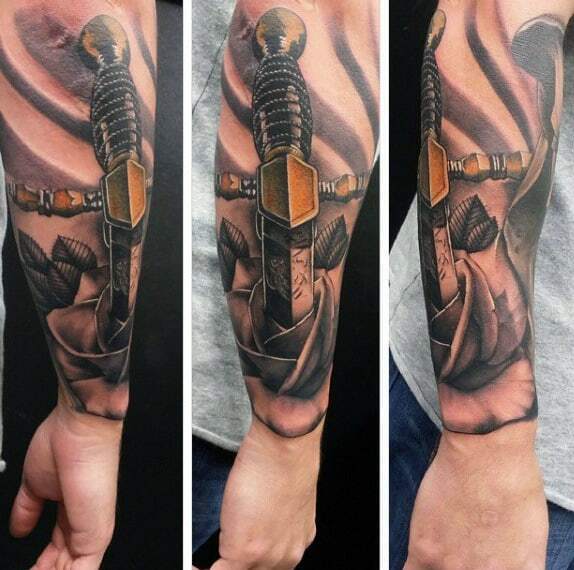 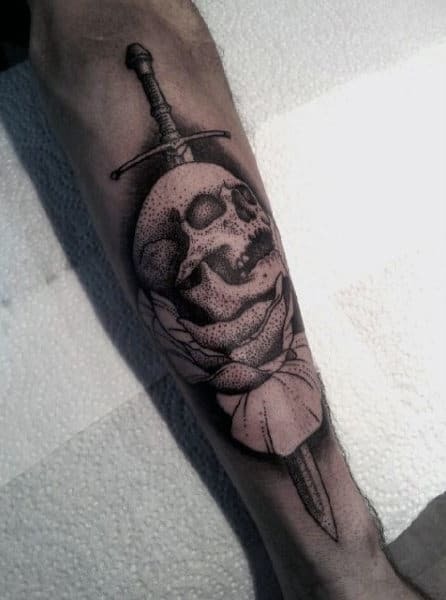 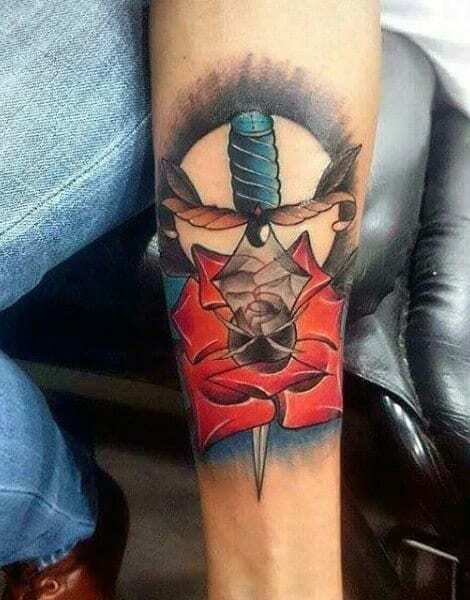 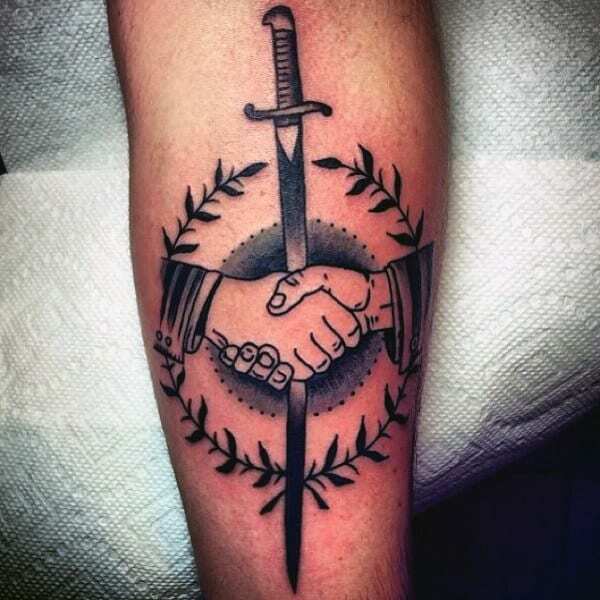 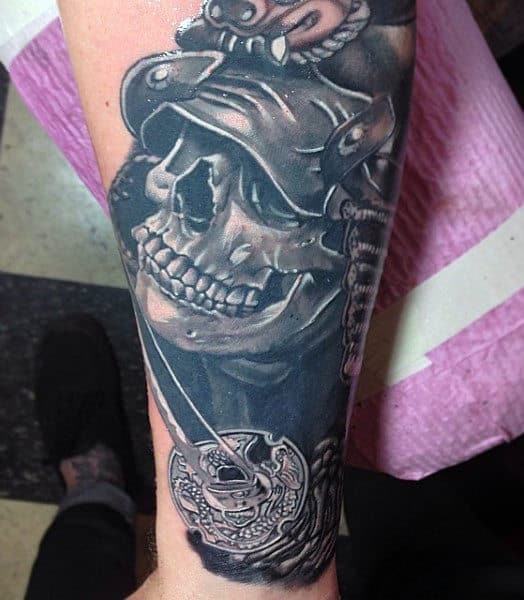 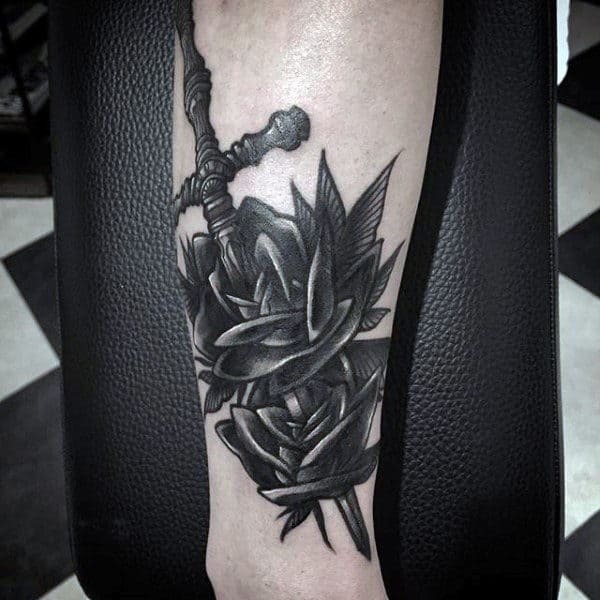 To hone a sharp sense of suave sophistication, all a confident guy needs are manly sword tattoos. 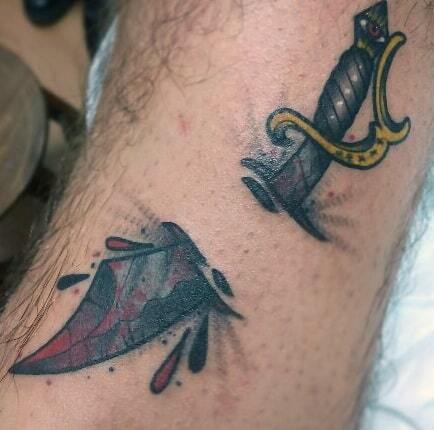 In fact, cunning blade imagery will assertively place you a cut above your rivals in stylishness. 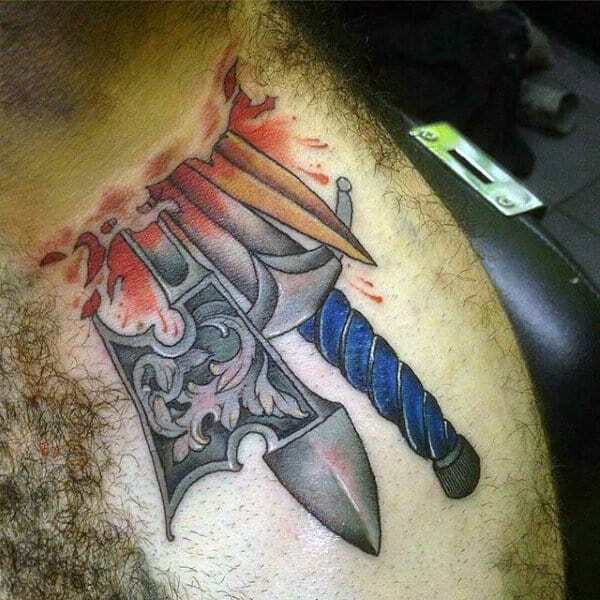 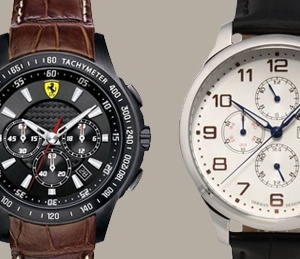 Nothing quite encapsulates masculine power like being adorned with razor-sharp weaponry. 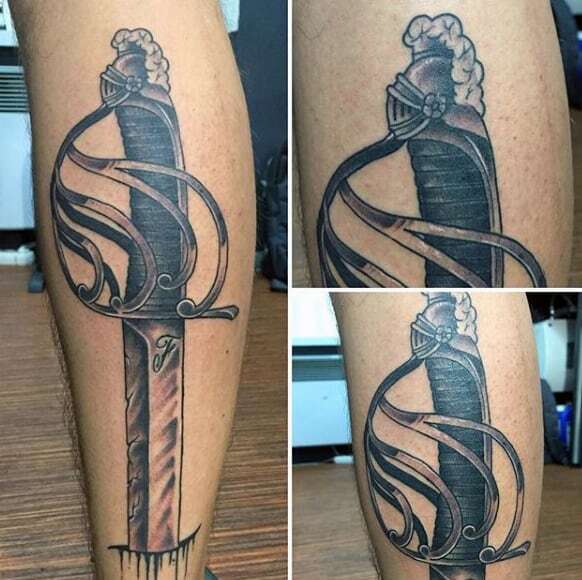 Meanwhile, African religions view swords as signs of personal growth. 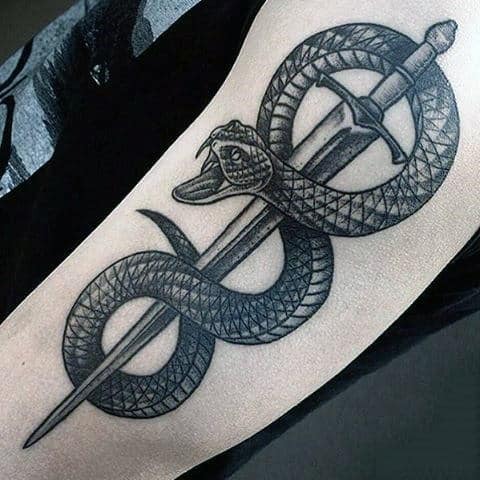 Similarly, Celtic mythology connects sharp weapons to alchemy. 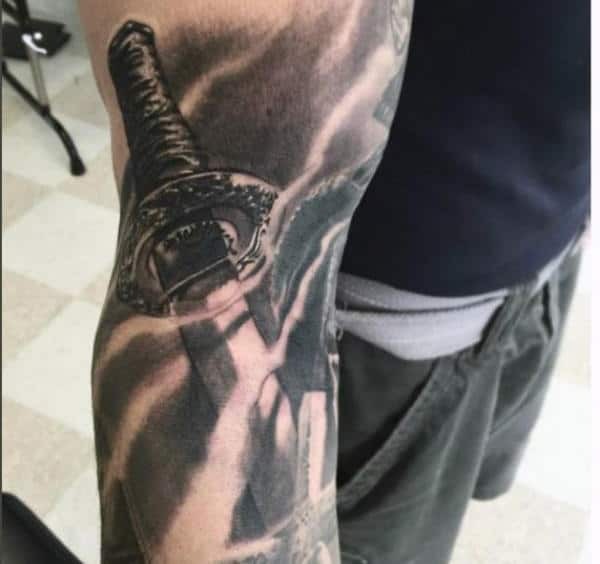 Ink artists have a lot of flexibility and leeway with sword designs, especially since there are so many variations in blade technology. 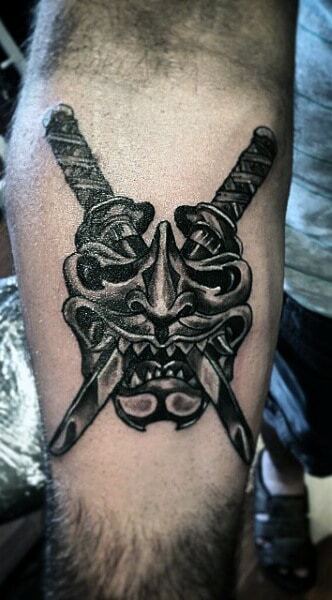 From scimitars to kitanas, there are innumerable options available. 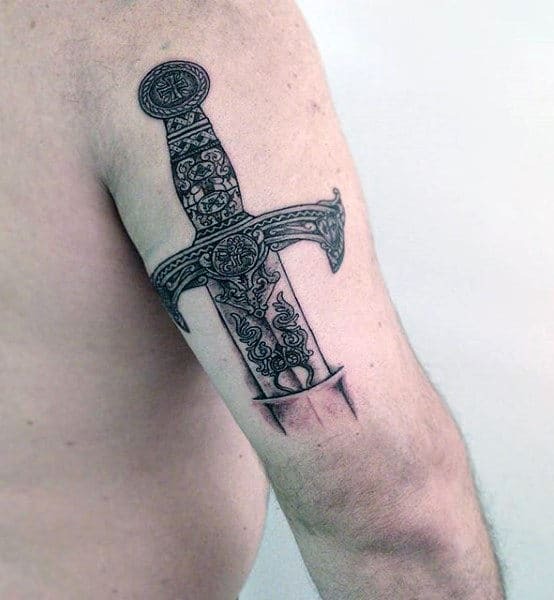 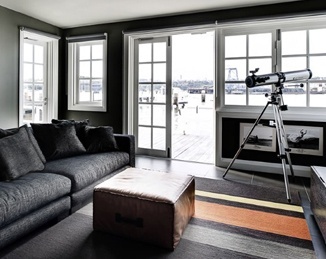 As such, new designs can be easily added between existing pieces. 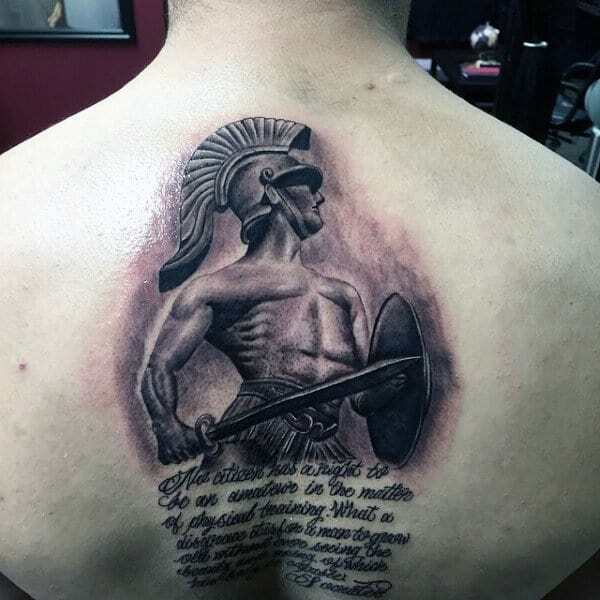 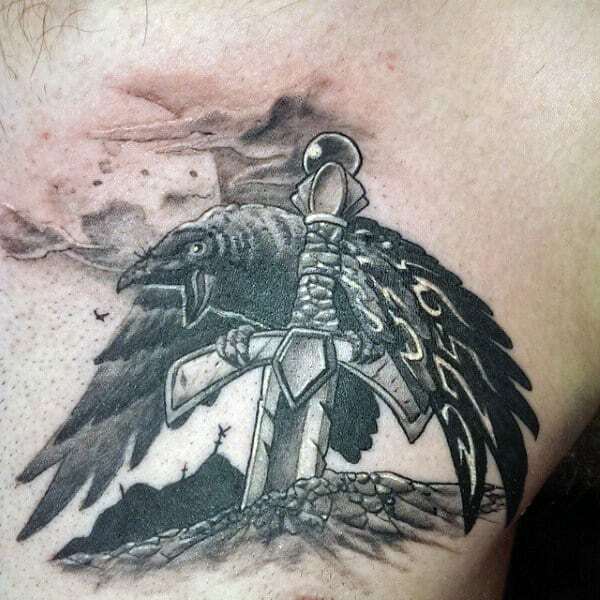 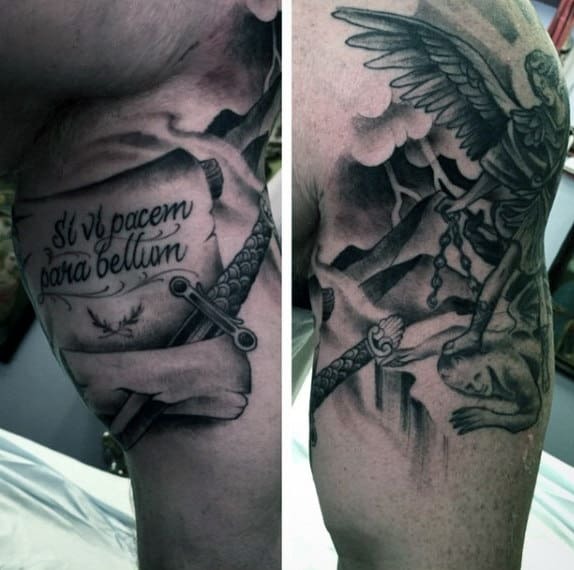 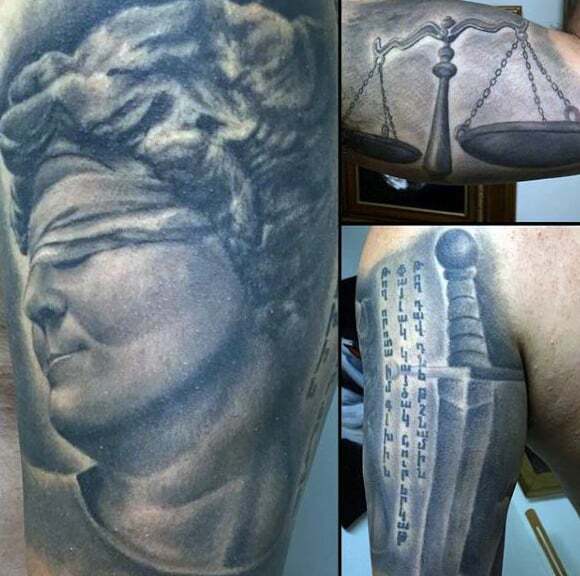 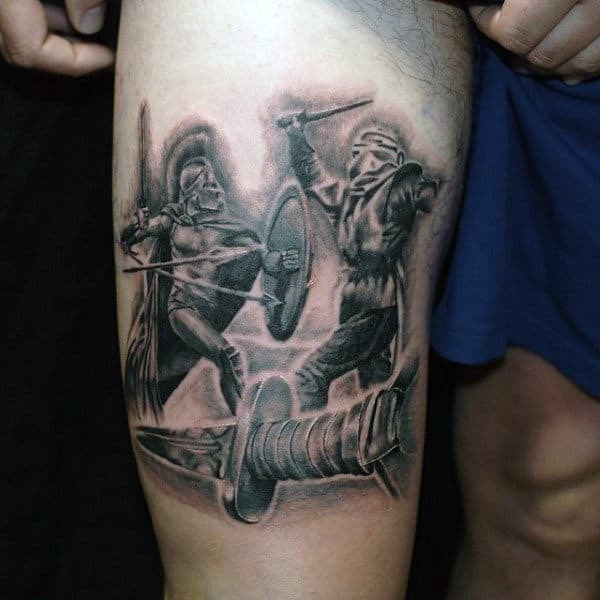 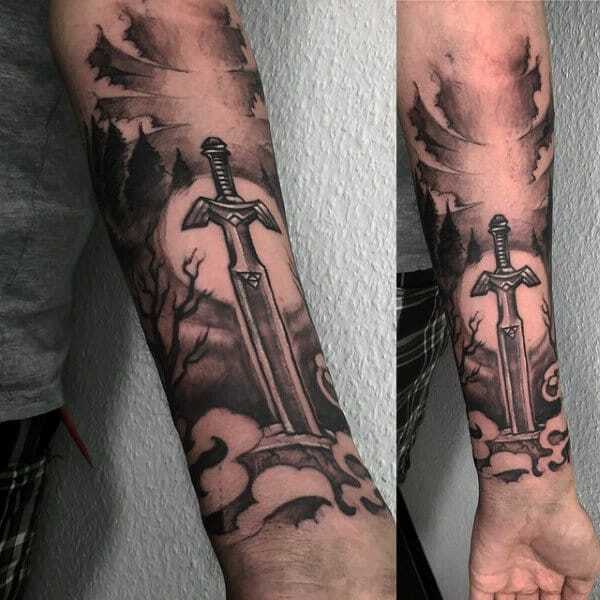 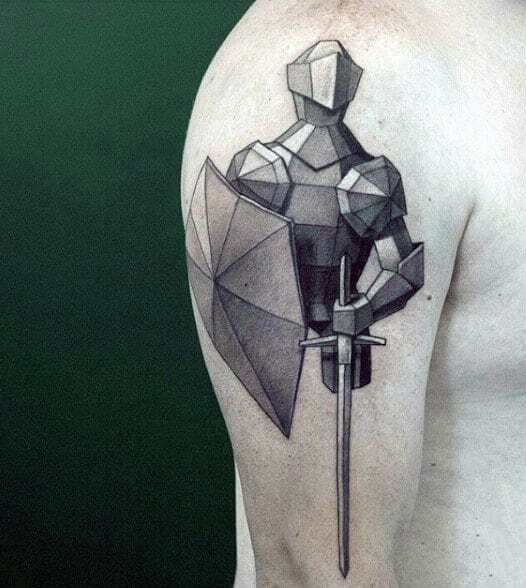 With the sword tattoos compiled here, an incisive wit will be showcased alongside a commanding attitude.